While earlier drinking fountains were often extremely practical in design – such as the drinking troughs explored in an earlier post – they became increasingly more elaborate over time. This was especially the case once the trend of fountains as memorials to individuals (either living or dead) took off, with architects often being employed to provide the design. 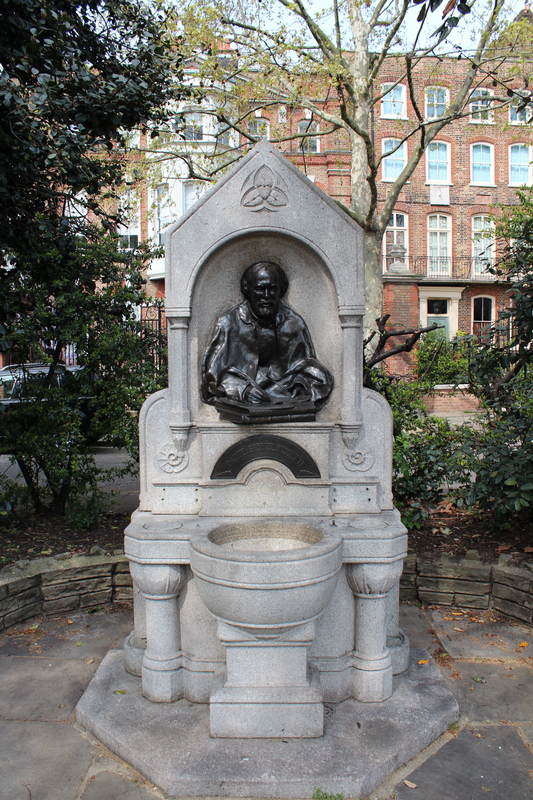 An interesting example of a memorial drinking fountain is the one in Chelsea that commemorates Dante Gabriel Rossetti, one of the founders of the Pre-Raphaelite Brotherhood. 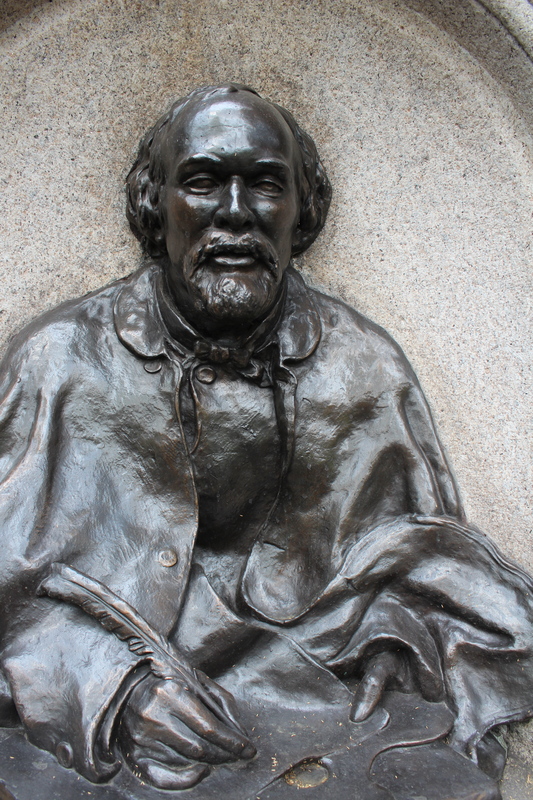 Designed by architect John Pollard Seddon, it features a sculpture in bronze of Rossetti (with writing quill in hand and poised for action) created by no less than Ford Madox Brown. 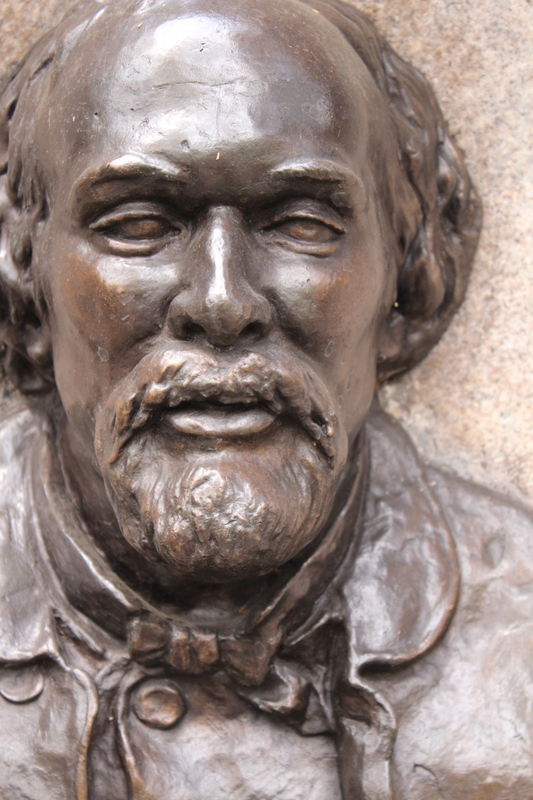 The books Rossetti is depicted with are his own Dante’s Circle and Sonnets and Ballads. 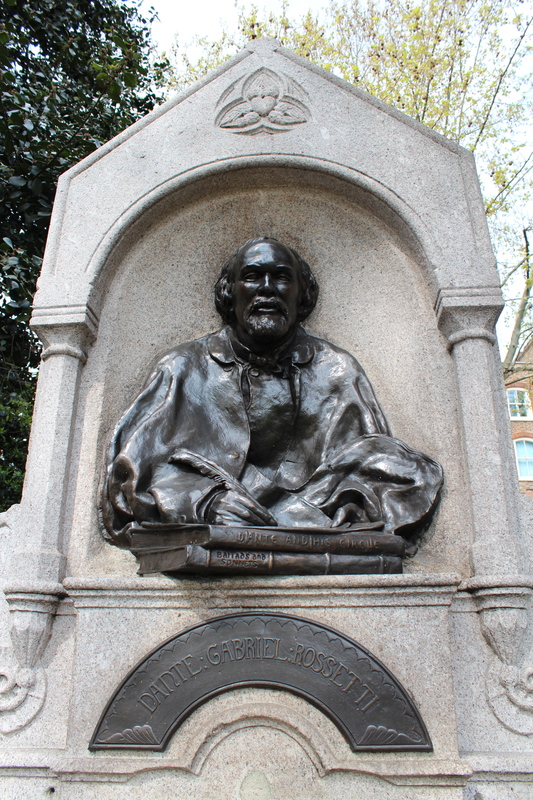 The white stone fountain stands in the Chelsea Embankment Gardens, directly in front of number 16 Cheyne Walk, where Rossetti lived between 1862 – after the death of his wife and model Elizabeth Siddal – and his own death in 1882. 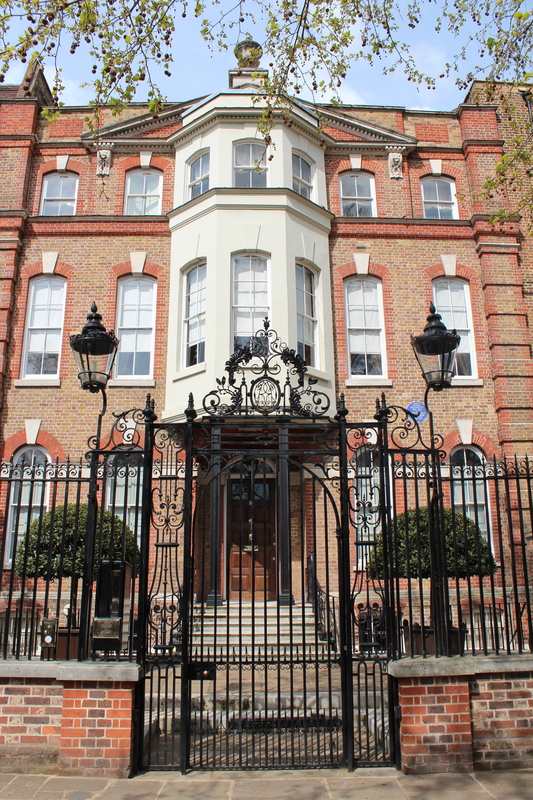 A fan of exotic furnishings, birds and animals, Rossetti kept a number of unusual pets whilst living at Cheyne Walk, including wombats, a llama and a toucan. After leading a somewhat tumultuous life, he was said to have spent his final years living here in a rather reclusive fashion. The fountain, with number 16 in the background. “I cannot make out how things are to go on, in so many directions things must be changed”.